We would like to welcome all of our colleagues to our website. We are very excited about this new location and want to promise all of you who refer your patients with after hour emergencies that you won’t be disappointed. Previously our patients had to travel to downtown Toronto for treatment or would have to wait in an emergency room. For their consideration and convenience we decided to open this facility. If you refer your patients to our clinic only the necessary treatments will be given to your patient in order to get them out of pain. We want to assure you that a complete report and any x-rays taken will be given to your patient to be returned to you. 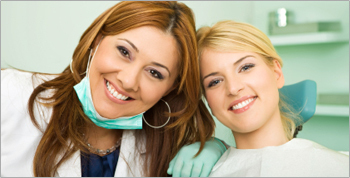 We will instruct your patient to make a follow up appointment with you. If a patient comes in with a abscessed tooth, an x-ray will be taken, a prescription will be given and a pulpectomy will be performed with instructions for the root canal and filling to be completed with their own dentist. If you intend to use our emergency clinic by leaving our location and phone # on your answering machine, fax/send us a note with your office information to get the reports faxed or sent to you quickly. Thank you for considering our facility.